Application Insights key is removed from azure app settings. New relic agent starts correctly (logs look fine), app is visible in new relic portal. When Always On is SET to ON it returns: HTTP Error 503. The service is unavailable. Which how did you deploy your application? did you use nuget or did you do it manually? 503 and 500 errors are typically internal server errors, is there any thing reporting in the Azure Activity Log? You mentioned that the application works on the 64bit platform, what platform was the app built for 32 or 64bit? I hope this is a good place to start. we use Jenkins and MSbuild 15 to build application and azureWebAppPublish plugin for jenkins to publish. with Always On set to Off that is empty. 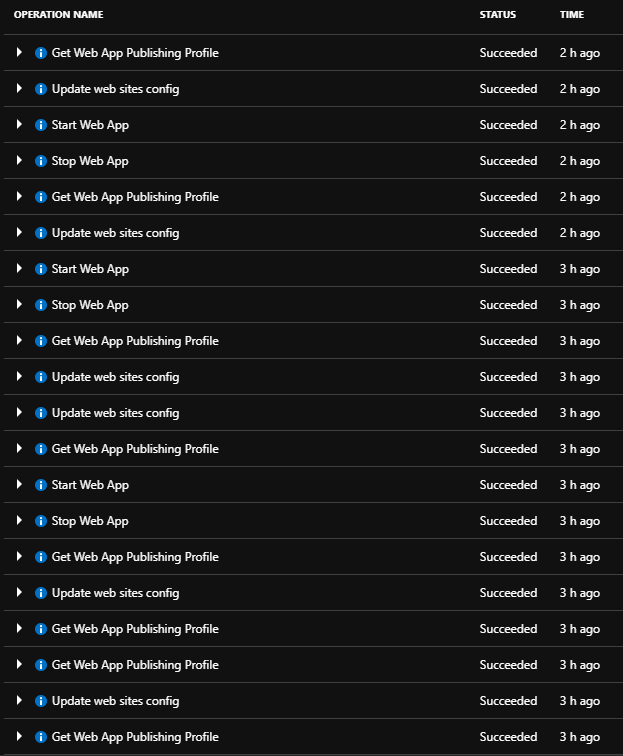 And what about the Azure Activity Log? does it have any discrepancies? Have you tried to deploy this application without NewRelic.? an app works fine when NR is disabled. I’m trying to debug an issue using Dignostics Logs, but with no luck. At https://docs.newrelic.com/docs/agents/net-agent/getting-started/compatibility-requirements-net-framework-agent in .NET Framework version section, there is only .NET Framework 4.6, our app works under 4.7.2. Could this be a cause of this issue? The .net version should not be an issue, 4.7.2 is supported by our agent. I think I found an issue. When I removed configuration builders execution from Web.config, the app started and .net agent is collecting data. We’re using only Azure Key Vault Config Builder. Support have logged a bug for this.